Wool mittens in a beautiful jacquard fabric, entirely lined with jersey. Your child can wear it with the matching bobble hat and collar for an irresistible total look. 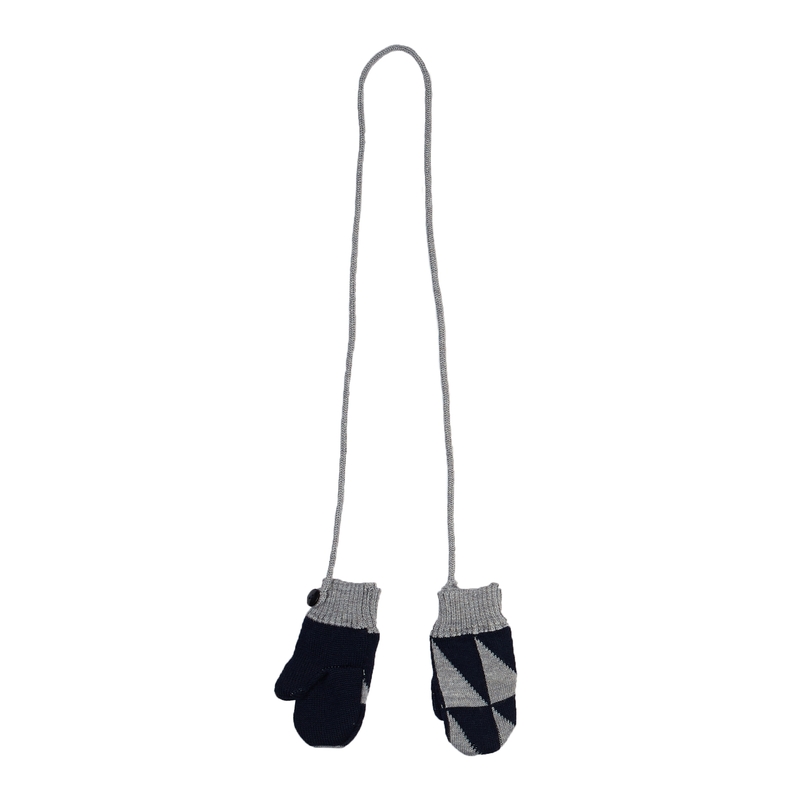 The sweet touch : a detachable cord prevents your child from losing his mittens. When choosing the size for your child, the best way is to go by his/her height. Measure him/her from head to toe standing straight pressed against the wall, bare foot. When choosing a size of hat or cap, the head measurement is the best guide. Measure the circumference of the head at the level of the front. L’asticot delivers all around the World! Currently we offer shipping by DPD on Swiss deliveries and by Swiss Post on international deliveries. L’asticot offers a flat shipping rate of 7.00 CHF and free shipping on all orders over 50.00 CHF. L’asticot offers a flat shipping rate of 14.00 CHF and free shipping on all orders over 250.00 CHF. L’asticot offers a flat shipping rate of 25.00 CHF and free shipping on all orders over 350.00 CHF. We ship via Swiss Post. Please note, that the international part of the transit is managed by local courier services and is not tracked by Swiss Post from this point onwards. In the rare event of the goods being delayed overseas, it may be difficult for our customer team to trace your package. Due to varying customs regulations, international deliveries can take up to 3 weeks from dispatch, dependent on the destination. Please note that for all international shipping outside of Switzerland the recipient is responsible for settling directly with local government authorities or forwarders any customs duties and/or taxes levied as a result of importing item(s) into that country.